Looking for an easy way to heat your home? Then radiators are the perfect solution. 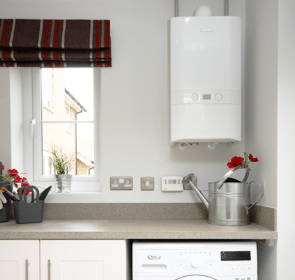 Radiators are the most popular choice for providing room heating in the UK. In this guide, we’ll give you the information on radiator costs along with how they work, types, and purchasing tips. When it comes to radiators, you are spoiled for choice. With numerous brands and styles, as well as features and fuel types, narrowing down your options might be difficult. One of the first steps you will probably take when searching for radiators is to examine prices. The main factors that will influence your radiator costs are size, number of units, existing infrastructure, and style. There are other contingent factors that could affect the price, if certain circumstances apply to your particular situation. These include switching from a wet system to one without liquid. Learn about the average prices in the table below. 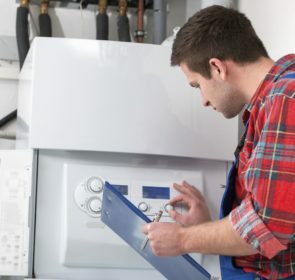 If you are ready for warmth in your home, then your next step is to contact heating companies. 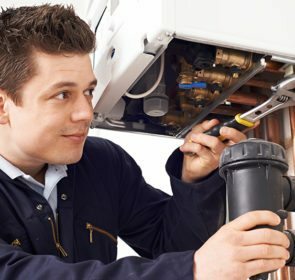 Finding a reliable heating engineer, and the right radiators for your home, is easy when you conduct a thorough comparison of services and prices. By providing some basic information, you will receive up to 5 non-binding quotes in your mailbox the next day—it is free and you will save up to 40%! Which type of radiator should you choose? In the past, radiators were thought of as just a necessary heating component to place—something that is purely for function. But now there are many types available, each with its own style and advantages. Panel radiators consist of either one or two flat panels, which give off the radiant heat. These radiators do not significantly stick out from the wall as they tend to be quite thin. Double panel radiators have twice the heating capacity of single panel models. They come with crimped or rounded covers, and offer a simple, elegant look. With its clean design, panel radiators save space and work in almost any room. Flat panel radiators work in the same way as panel radiators except their tops are flat (hence the name!). This type of radiator is more design oriented, with standard horizontal models and unique shapes. With its sleek, modern look, flat panel radiators are perfect as a visually appealing piece as part of your interior design plans. Convector radiators evolved from panel radiators—metal convector fins are welded behind the outer panels. These fins increase surface area, which translates to higher heat transfer. This type is capable of giving off more heat than regular panel radiators. However, depending on the configuration, they can take up more space than flatter models, as they protrude out of the walls further. Compact radiators is similar to the convector type. However, there are grilles and panels to cover the openings. This kind are generally thinner than regular convector models. Their small size makes compact radiators a great choice for homes with limited space. A prominent downside is that it is more difficult to clean as dust collects within the panels. Column radiators have a stylish, upright design, providing a classic look. This old school style is not just for traditional Victorian or Edwardian homes, but is also fantastic in contemporary properties. In newer homes, column radiators add a bit of a retro feel to the room. With numerous colouring and finishing options, column radiators can match any room. Non traditional finishes work great for adding contrast or a splash of colour. Towel rails are perfect in washrooms and kitchens alike, providing heating and a spot to dry towels at the same time. Consisting of multiple ladder-like rungs, they allow you to dry several towels at once. Coming in several finishes, shapes, and sizes, towel rails can fulfill any design need. For example, chrome towel rails are a modern, elegant option. With designer radiators, form does not always follow function. These radiators have an interesting, unique look that will draw the eye. Instead of being relegated to the unseen parts of the room, designer radiators can be placed out in the open for all to see. This type of radiator means you will not have to sacrifice aesthetics for a warm home. Acting as a focal point or simply matching the style of the room, you can include these radiators in your interior design plans. Low surface temperature radiators, or LST’s, reduce the risk of burns as the outer surface of the unit does not reach temperatures as high as the 48℃ found in regular radiators. LST’s casing are isolated from the hot water pipes, while airflow is utilised to keep the radiator surface cool. The enhanced safety features make LST’s ideal for homes with young children, pets, or the elderly. With choosing radiators, it is not just about the style and price. You must also figure out how powerful your radiator should be in order to properly warm up your room. Multiple factors affect the amount of power required: room size, window number and type, room purpose, and level of insulation in your house. The power of your radiator is measured in British Thermal Units (BTU), which is the amount of energy it takes to heat a pound (lb) of water by 1℉. In general, the larger your room, the higher the output you will need. Use a BTU calculator to help determine the required output and number of radiators you need for your room. When you are looking to purchase radiators, there are many things to take into account. Firstly, available space is an influential factor in your decision. For example, if you do not have much room, radiators that do not obstruct are a priority. Are there space saving opportunities in your room? Take a look at vertical, compact, or thinner models to heat up a room without taking up too much space. Next, practicality will be an added bonus for a radiator. Towel racks with enough rungs to dry many towels is perfect for a family home. Add to that an additional shelf for further storage, and your radiator will be extremely convenient. Additionally, don’t forget that radiators require regular maintenance, just like the rest of your central heating system. Occasionally, you will need to bleed malfunctioning radiators to keep them heating well and efficiently. Over time, air bubbles will build up in the pipes of your radiators. The trapped air creates cold spots, reducing its effectiveness. Releasing the air bubbles restores the radiators back to their original state. If you notice that a particular room is colder than the others, it might be a problem with the radiator so bleeding is necessary. To check if it is time to bleed your radiators, follow these steps. Allow enough time for the radiators to heat up completely, building up enough pressure inside the pipes. See if each radiator is heating up properly and check for cool spots along the edges—usually, cold spots appear near the top of the radiator. Be careful as the boilers will be very hot. Let your radiators cool back down so that you don’t burn yourself. Use a radiator key or a flat-blade screwdriver and attach it to the end valve at the top of the radiator. Keep a cloth or tray underneath to catch any water dripping and slowly and carefully turn the key or screwdriver. Keep the valve open until the hissing sound stops and liquid starts dripping out. Close the valve quickly. Look at the pressure gauge located on your boiler. Make sure it is at an adequate level between 1.5 and 2 bar, or the green part of the gauge. If not, you will need to top up the boiler. Check to see if this has resolved the problem. Switch on the heating and look for cool spots. Looking for the right radiators? Time to compare! The search for the right radiators is a difficult one and you might be feeling overwhelmed. Fortunately, you’re not alone! 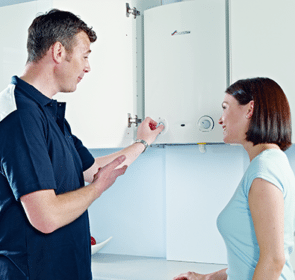 Professional heating engineers will provide assistance in all aspects of your search. Compare companies easily to single out the best professional for you and you will save up to 40% on your radiators.